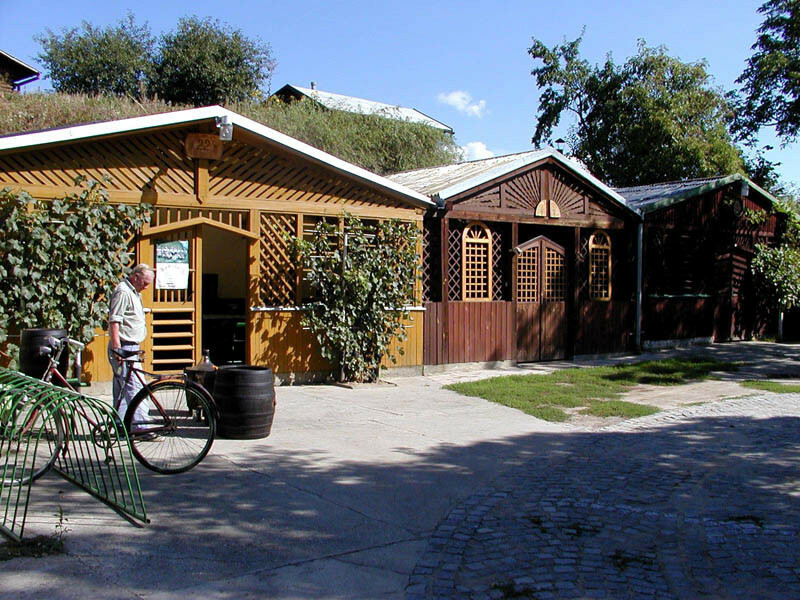 The Moravian Wine Trail, which runs through the town of Vracov, is the backbone of a network of regional cycling trails passing through the countryside of South-East Moravia. The Wine Trail connects old Znojmo with the metropolis of Uherské Hradiště and offers a wander through the region adorned by wine, rich history and lively traditions. The red marked Moravian Wine Trail passes through all Moravian wine regions and intersects with seven of the ten local wine tours. There are 70 wine-growing settlements, a dozen protected natural sites and important historical and architectural monuments of the region along its route. Go to Vracov, an old agricultural settlement, with a winemaking tradition that reaches back to the pre-Hussite age. An extraordinary location among the cellars, which are always owned by several people, is cellar No. 15 in Baráky - the legendary Parliament. Climbing the cellar path Na Jamenech gives way to fields and vineyards. You can visit some of the traditional wine events, where, besides a tasting of good wine, you will also experience local folklore, beautiful costumes and folk music – harvest festival, mountain tapping or the Vracov cultural summer. You can also taste the young wine at the traditional Josef's wine tasting.